Ekta Kapoor to host naming ceremony for son Ravie Kapoor on THIS date? Home Bollywood Gossip Ekta Kapoor to host naming ceremony for son Ravie Kapoor on THIS date? 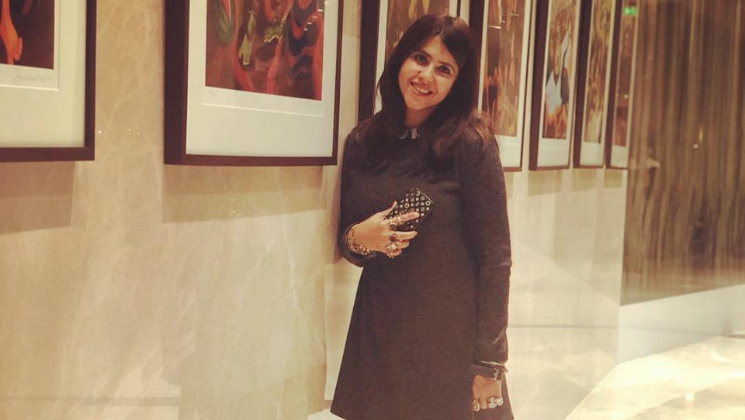 Film and television producer, Ekta Kapoor welcomed her bundle of joy, a Baby boy on January 27. The baby was born via surrogacy. The little one is named as Ravie Kapoor after Ekta’s father Jeetendra’s name (Jeetendra’s real name is Ravi Kapoor). A couple of days back we got a glimpse of Ekta’s baby. Now, reportedly, the proud mom will be hosting a naming ceremony on February 11 at her Mumbai residence. Reports suggest that it will be a grand naming ceremony. As Ekta is a renowned face in both television and Bollywood, the who’s who of Bollywood and television industry are expected to attend the ceremony. A couple of years back, Ekta Kapoor’s brother, Tusshar Kapoor also became a proud father of a boy child via surrogacy. We are waiting for the naming ceremony and wish to see more pictures of the little one.